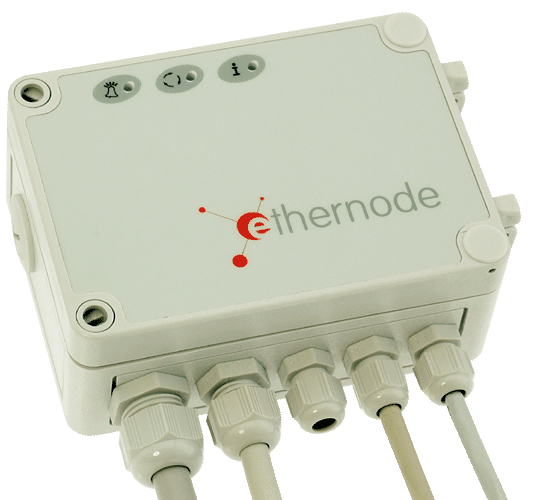 ethernode® in the surface box gets along well without electro infrastructure, in the PoE-option even without 24V. But if there is anyway a switchboard, a rail mount enclosure is easily installed. 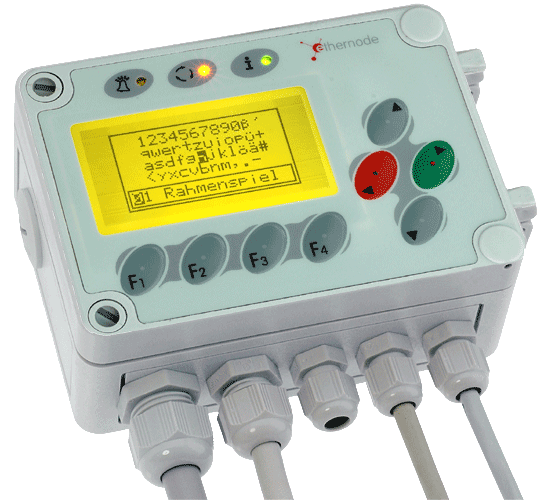 Please address us if you are interested in a special model with I/O. TCP/IP communication over socket interfaces. PoE remote control option (Power-over-Ethernet) for ethernode. Produces isolated voltages 5V and 24V of the 48 voltage provided from the PoE switch. Order codes with PoE: ETH-...<POE. Ethernode A7-SER offers two serial interfaces at the Ethernet which are not just addressable conveniently from Windows over a virtual COM-Port, but which can work also as protocol converter, Gateway, datalogging et cetera with a little freelance C-programming. 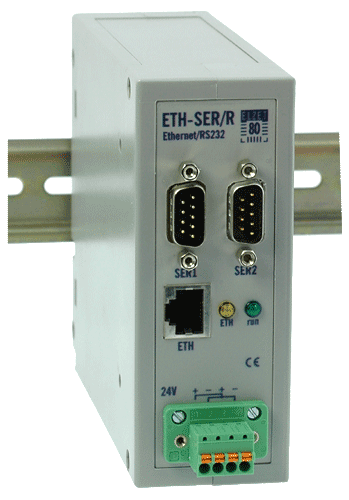 We deliver ethernode A7-SER in a surface mount oder DIN rail mount version for the switchboard. The ARM-CPU with 2MByte Flash and up to 1MByte RAM providing a basis for special solutions offers enough space for wide scales, algorithms and circular buffers. The mCAT real time kernel serves the serial interfaces with the comfortable SerDrv, which can be easily adapted to a number of protocols. A demonstration of the events as well as the configuration in the form of websites over the integrated webserver for the observer is possible. CGI and mSP are two possibilitier, to display the data which are to be entered. Incoming files can be sent simply bunched as an e-mail. For the exchange of serial measuring data e.g. at a data logger or Gateway the communication over sockets which is integrated in the mCAT message system is commendable. The protocols TCP/IP and UDP are supported.